Sisters of the Quill Unite! 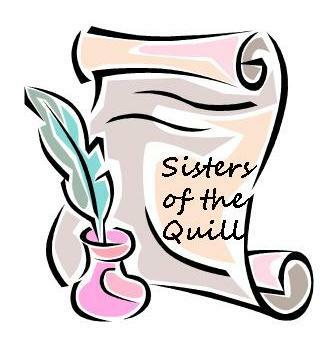 As you may recall, I was recently awarded the illustrious Sisters of the Quill from the illustrious Donna, over at Donna’s Book Pub. And if you do not recall the awarding of such, I’m here to remind you. Apparently, I have been ” deemed a quill-driver, a writer, a scribe, a schrivener, an author worthy of recognition.” That’s pretty swell, don’t you think? As you can imagine, I have a TON of deserving writer friends. But ever since I looked up The Highlander the other day, I’ve been on a “There can be only one” kick. Frankly, after perusing the pics of Adrian Paul (my favorite Highlander), I’m surprised I can think at all. Bottom line: there shall be only one deserving writer, and she shall be…Tanya Valentine! Tanya is working on a couple of children’s books and I’m sure that one day, we’ll rush to grab her books off the the shelf. In the meantime, you can read her funny musings at her blog. She is one funny scribe. And now, it is up to Tanya to pick up the Quill (Award, that is) and pass it on. All I ask is that you mention from whence it came before passing it on to the next deserving Sisters of the Quill (unite!). ← Finding a Contest for Writers, 4th thru 8th Grade! Congratulations Tanya! You are worthy! I'm either dyslexic or really, really tired. I thought this said, "Sisters of the Quilt, Untie! "And yes, congratulations, Tanya! Ha! I loved the dyslexic reading! Sounds like me!